Updated Aug. 1, 2018, at 10:00 a.m. EST: The U.S. Department of Agriculture is warning customers to stay away from salads and wraps sold at several large-scale grocery chains — including Kroger, Trader Joe’s, Gordon Food Service and Walgreens — as the romaine lettuce used in these products may have been tainted by the cyclospora parasite. The salads and wraps in question were produced by Indianapolis-based Caito Foods LLC between July 15 and 18 and had sell-by dates between July 18 and 23. The USDA is urging consumers to discard any affected products they may still have. Original story, published July 13, 2018: It's been a bad year for salad eaters. Just when we thought the salad recalls finally came to a halt, all eyes are now on McDonald's salads. The Illinois Department of Public Health received confirmation of approximately 90 cases of people falling ill with cyclosporiasis, a parasite that causes an intestinal infection, in counties across Illinois starting mid-May. About one-quarter of the Illinois cases reported eating salads from McDonald's days before they became ill. However, public officials continue to investigate other sources, according to IDPH director Dr. Nirav D. Shah. "If you ate a salad from McDonald's since mid-May and developed diarrhea and fatigue, contact a health care provider about testing and treatment," says Shah. Salads from Iowa were also affected — with 15 Iowans falling ill so far. "This summer there have been several clusters of cyclospora illness associated with various foods that are commercially available. 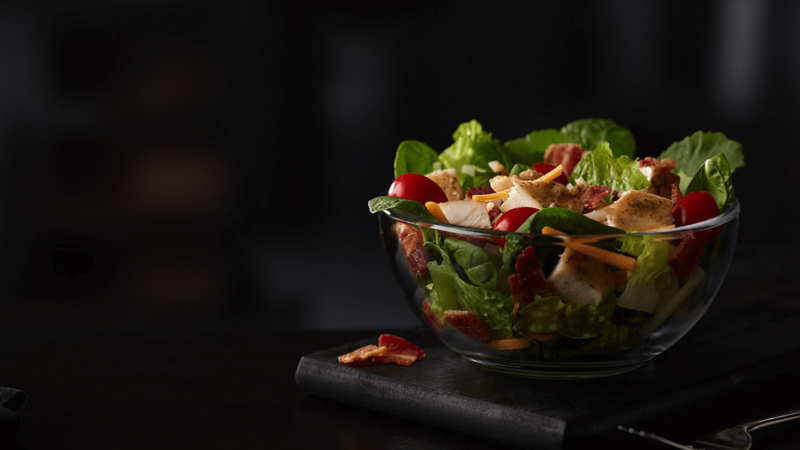 This week IDPH has identified 15 Iowans who ate McDonald's salads in late June to early July prior to getting ill," said state medical director and epidemiologist at the Iowa Department of Public Health, Dr. Patricia Quinlisk. McDonald's has been in contact with public health authorities from Iowa and Illinois, McDonald's told BuzzFeed. The fast food chain is also in cooperation with the state health department, the Centers for Disease Control and Prevention and the Food and Drug Administration investigation and is voluntarily removing the salads from its restaurants and distribution centers — and restocking salads from other suppliers. "Out of an abundance of caution, we decided to voluntarily stop selling salads at impacted restaurants until we can switch to another lettuce blend supplier," they told BuzzFeed. "We are in the process of removing existing salad blend from identified restaurants and distribution centers — which includes approximately 3,000 of our U.S. restaurants primarily located in the Midwest." "McDonald's is committed to the highest standards of food safety and quality control. We are closely monitoring this situation and cooperating with state and federal public health authorities as they further investigate," McDonald's said in the statement. Symptoms of cyclospora, which is not spread directly from one person to another, may include frequent bouts of watery diarrhea, loss of appetite and loss of weight; cramping, bloating and/or increased gas; nausea, fatigue and low-grade fever — and typically set in about a week after exposure. Some affected people may not have any symptoms, though. The infection can be treated with specific antibiotics according to IDPH, and if not treated, the illness could last few a few days to a month or longer. This same parasite caused the recent Del Monte veggie tray recall. On June 15, Del Monte recalled several sizes of its clear plastic veggie trays containing precut vegetables and dip. The affected platters had an expiration date of June 17, and more than 200 people have gotten sick so far, with seven hospitalized. No deaths have been reported.